Police were called to Donovan's Road just before 7 a.m. The Major Crime Unit is investigating the sudden death of a man found outside a home in the Goulds neighbourhood of St. John's Thursday morning. Officers were called to a residence on Donovan's Road just before 7 a.m.
"A man had been located deceased in an outdoor area near a residence. At this time it's still very much under investigation by our Major Crime Unit," RNC spokesperson Geoff Higdon said. Higdon told members of the media that the man has been identified and that his next of kin have been notified. "We haven't determined whether or not this is suspicious in nature or an accident or otherwise," said Higdon. 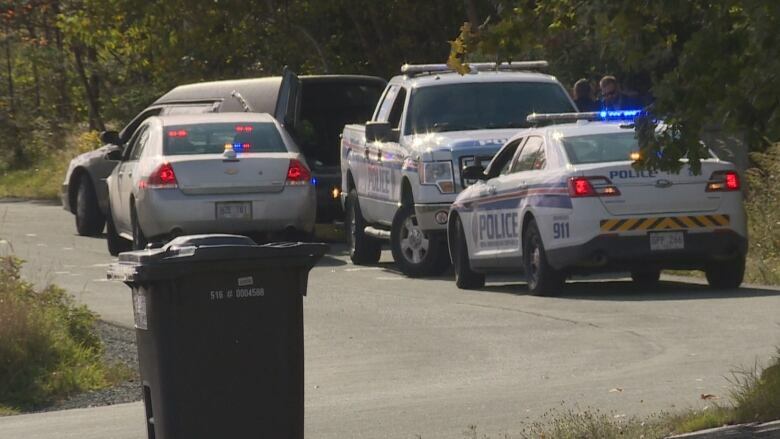 The Royal Newfoundland Constabulary and the Chief Medical Examiner are working to determine the man's cause of death, as well as the circumstances around his death. RNC Major Crime Unit is investigating a sudden death after a man was found deceased outside near a residence on Donovan's Rd in Goulds this morning just before 7:00 am. MCU working with the Office of Chief Medical Officer to determine the cause &amp; circumstances around this death.